Visit Seattle posted an open invitation to Victorians to spend a few days in the Seattle area. 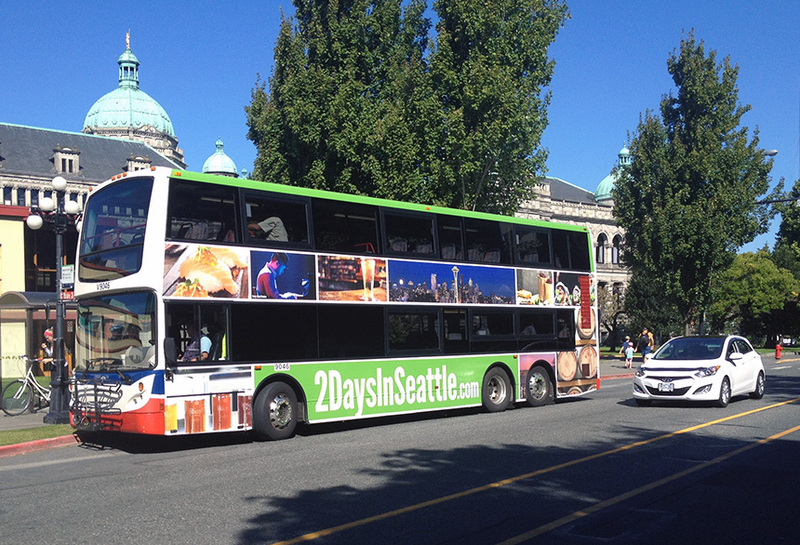 Using a clean, eye-catching design, this two story full bus wrap directed the audience to visit 2daysinSeattle.com to plan their next trip to the "Emerald City". Installed on one of Victoria's renowned double decker transit buses, the campaign can be seen from far and wide by drivers and pedestrians alike.